‘Mental health’ has been shown to be social and environmental, though we’ve heard of Prozac, and even music therapy led by professionals. Well-being may also be connected to collective, organized sound among ordinary people. I’d like to share a recent study in biomedicine, and draw these scientific conclusions into the anthropological realm. First, because I’d like to bring biomedicine into anthropological discussions, so that the medical system fathered by Hippocrates can meet other medical systems, particularly those of the immense continent of Africa. Second, because I think it’s important that the so-called Western ‘New Age’ movement consider its own context, that it draws from traditions much older than 1970s ‘hippie’ movements, and these social institutions, at least in Africa, still persist in contemporary, and perhaps unexpected, contexts. This means that communal ‘drumming’ does not necessarily mean people are in grass skirts chanting tribal languages. Finally, when these two understandings are known, this aforementioned biomedical study’s conclusions can be a single piece fit into the greater puzzle that I am working on. This puzzle will take years to finish (if it is ever finished), and a piece can be assigned to a pile of matching colors and textures, or even fit into place precisely, once every few weeks, months, or years. This biomedical study, titled “Effects of Group Drumming Interventions on Anxiety, Depression, Social Resilience and Inflammatory Immune Response among Mental Health Service Users” conducted in London, UK by 6 scientists shows marked improvement in depression and anxiety in participants who participated in group drumming. These participants experienced positively measurable alleviation from depression and anxiety, as compared to participants who used conventional mental health services alone. Two groups of participants were selected: people who participated in organized drumming groups, and a control group that did not participate in the making of organized sound we refer to as ‘music.’ Both subjective and objective measures were used. Participants were asked to rate their perceived well-being using scientifically validated scales. Also, biological data was collected through saliva samples to measure natural inflammatory and anti-inflammatory immune system responses. (At this time, biomedical research has shown that ‘mental health’ conditions also have underlying inflammatory immune responses) Notable increases in well-being, social resilience, and anti-inflammatory immune response were recorded in these group drummers of London. Significant decreases in inflammation, depression and anxiety are also documented in group drumming participants. Participants in the control group did not experience these changes. 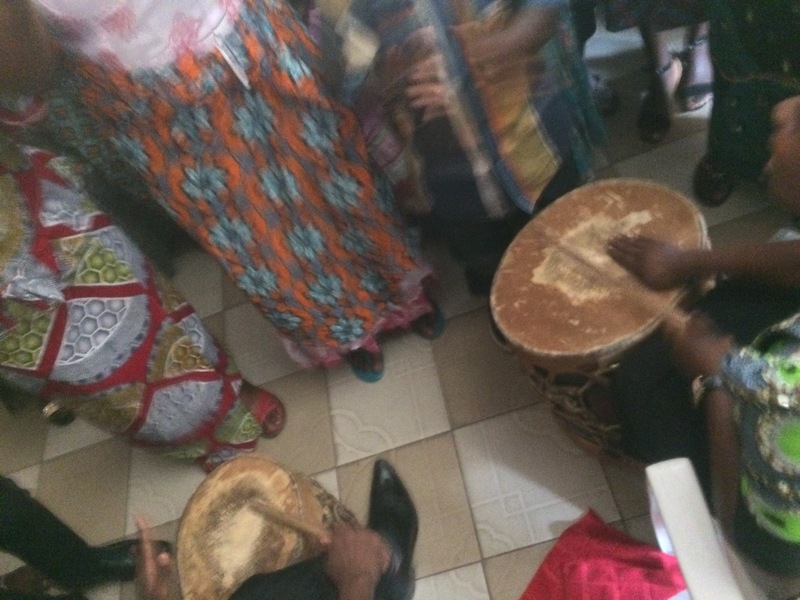 Although this study will spark continued research, and is out of context from Congo or Tanzania, where I seek to understand healing in ngoma institutions, it supports the direction of my research and acknowledges systems of medicine of other societies, cultures, and traditions. Those communities and their medical institutions seldom, if ever, truly need our validation of their existence. Because they thrive, mutate, and exist regardless of pharmaceutical corporations, or our imperious validation. In what ways will disparate medical systems coexist in the future? In what ways will medical pluralism and synchronicity, in and of itself, yield suffering? How can those problems be addressed? Next ›Thinking about Yangon: Normalcy or Conflict?